Welcome to historic Fales Hot Springs! 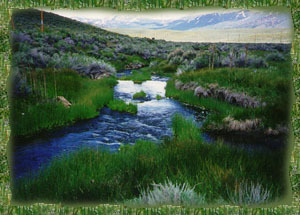 Fales is located 14 miles north of Bridgeport, California on highway 395. The resort property is privately owned and has been in and out of various stages of development for the past several years. There is "No Trespassing" allowed on the property. The natural hot springs temperature runs from a scalding 140-180 degrees at the main source with no available places to bathe except further down Hot Springs Creek on public land along the North side of the highway. Fales Hot Springs near Bridgeport, California is a one-of-a-kind natural splendor.